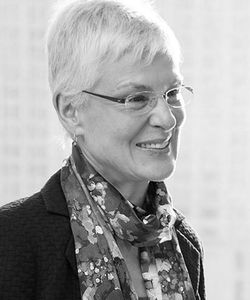 Morton oversees corporate relations strategy and outreach and engages with firms that seek to interact with the intellectual life of the school. Morton leads career services activities for students in the Full-Time MBA, Evening MBA, Weekend MBA, and Executive MBA Programs, as well as for alumni. This includes career management programming and corporate recruiting relationships with firms that seek to source talent from Chicago Booth. Morton joined Chicago Booth in 2000. Immediately before coming to Booth, she worked in retained executive search. She was also a financial services and strategy consultant at what was then Bankers Trust (now Deutsche Bank) in New York. She spent several years doing strategy and turnaround consulting in central Slovakia and in Jakarta, Indonesia, and she worked for the CFO of Young and Rubicam in New York, in an internal strategy, finance, and operations consulting group. Morton received her MBA from the Tuck School at Dartmouth College. Prior to attending Tuck, she served as the director of admissions at Mount Holyoke College in Massachusetts. She has an undergraduate degree in international studies from Johns Hopkins University.